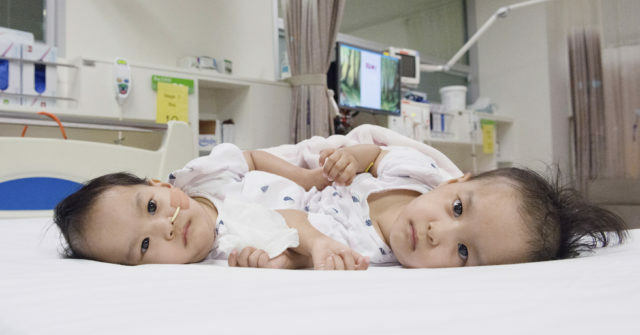 Conjoined twins from Bhutan have been separated after a six-hour operation at an Australian hospital. 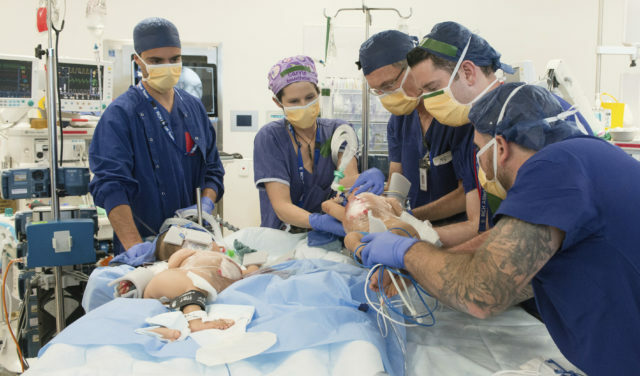 The procedure divided the 15-month-old girls’ shared liver and reconstructed their abdomens. Joe Crameri, the head of paediatric surgery at Melbourne’s Royal Children’s Hospital, said the girls, Nima and Dawa, are doing well after the surgery. The girls were joined from the lower chest to just above the pelvis. They shared a liver, but doctors started the procedure unsure if they also shared a bowel. Mr Crameri said there were no major problems with the bowel attachment. Mr Crameri said the girls would be closely monitored and that his team felt “quietly confident that we will have a good result”. He added that the girls’ mother, Bhumchu Zangmo, was “smiling, very happy, and grateful”.